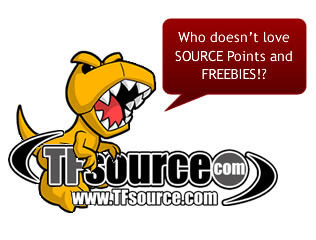 TFsource 7-28 Weekly SourceNews! KFC A – Dai Stack, MP-12 Restock, SDCC MP-Prowl and More! We have new preorders on the site like Masterpiece Prowl – Exclusive Figure, KFC – EAVI METAL Phase Three: A – Dai Stack, Henkei Jetfire – Cybertron Con 2013 Exclusive, Unique Toys – DX9 D02S – Splinter, Transformers 2014 – Generations Leader Class – Jetfire, Fansproject – Function X-4: Sigma L, Fansproject – Lost Exo Realm – LER-01 Columpio and Drepan. Instock this week we have Warbotron – WB01-C – Sly Strike, PE-DX-04 – Motobot – Guardian, KFC – CT-02 Tempest, as well as a restock of the very popular MP-12 – Masterpiece Sideswipe – Lambor – 2nd Production Run! Visit the Source Blog for our latest Source Articles, Interviews! Visit our sister site theToySource.com for non-transformers collectibles! All this and more in this week’s SourceNews! 1. Now up for Preorder SDCC 2014 Exclusive Masterpiece Prowl! MP-12 Sideswipe Restocked! 2. Now Up for Preorder – KFC – EAVI METAL Phase Three: A – Dai Stack! 3. Now Instock – Warbotron – WB01-C – Sly Strike! 4. Now Instock – PE-DX-04 – Motobot – Guardian! 5. Now Instock – TFCC 2014 Subscription Exclusive – Thrustinator! 6. TFSource Clearance/Sale Henke Jetfire! 7. TF Go Exclusives Clearance Items! 8. New Fansproject Preorders and Restocks! 9. Now available for Preorder – Transformers Generations Leader Class Jetfire! 10. New preorder up – Unique Toys – DX9 D02S – Splinter! 11. 3rd Party Customs Update! theToySource – Your Source for SDCC 2014 Exclusives! Now Instock – TFCC 2014 Subscription Exclusive – Thrustinator! 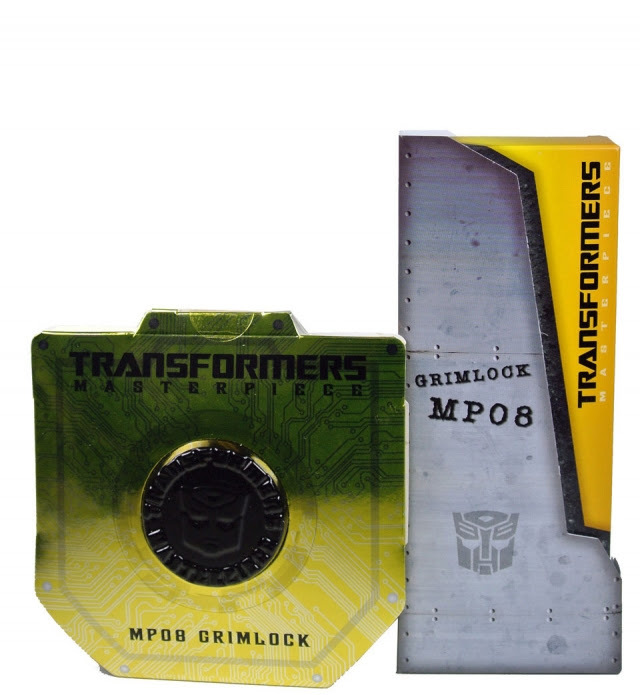 Order yours on TFsource and be sure to check out all of the TFCC Subscription Exclusives! Check out Peaugh’s video review on our page, just scroll down the page and click play to watch! This piece is quite impressive we got to check out an early sample UT sent us for botcon! After some delay both Zenith Forge gun upgrades are instock, as well as we’ve restock lots of Dr. Wu items! Upgrade your bots today at TFSource: TFsource – Your Source for Dr Wu. Customs! Fans Style Upgrade Kits for MP-17, MP-18 and MP-19 now instock! Set includes articulated hands for your Masterpiece Datsun brothers! New Preorder up – X01 Speedoo & X02 Guartinel Set of 2! These mini figures stand 10CM/4″ tall and change from robot to vehicle and back! Set for an August release date. theToySource – Your Source for Marvel Infinite Series Figures! theToySource, your Source for Bandai Tamashii figures!